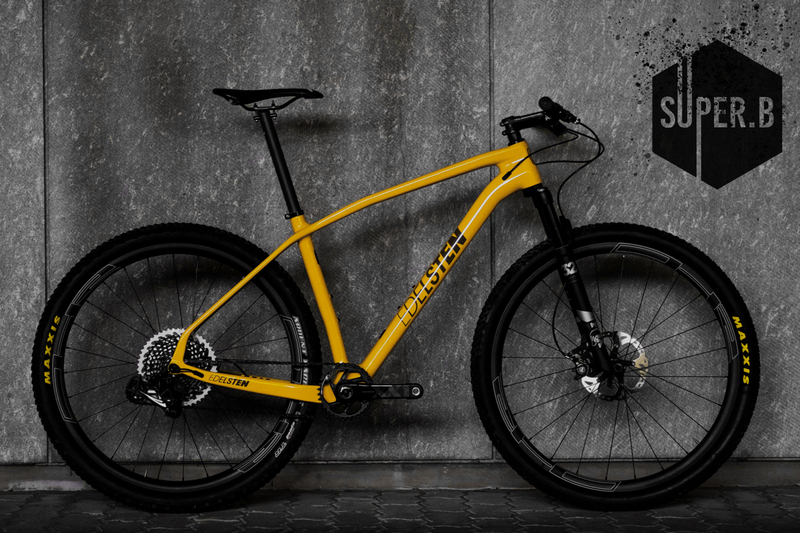 This hardtail is a race tested piece of engineering. 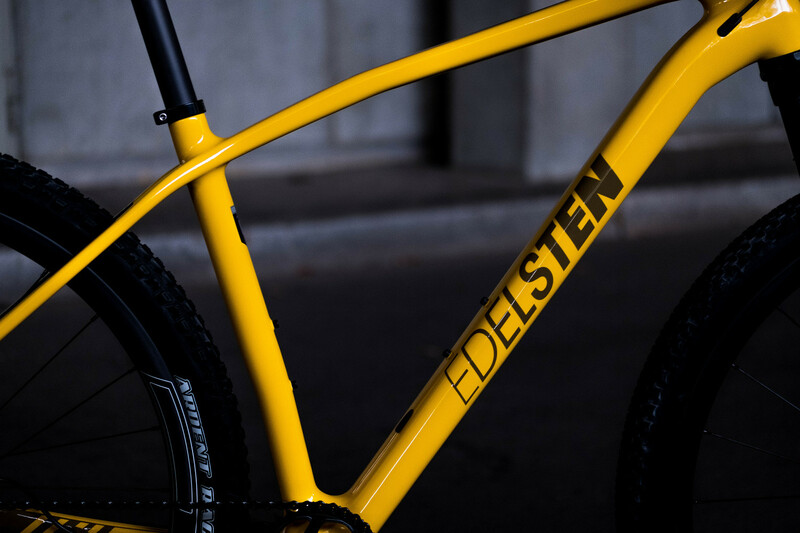 Although road racing is our heritage and our best competence we created this race piece for the Edelsten-family of friends and beaus. Its geometry is a perfect compromise between stability and agility. 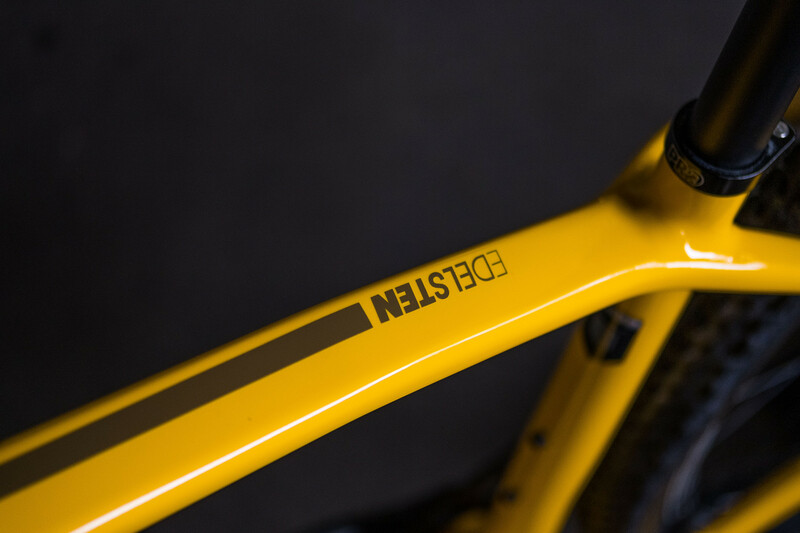 This frame will surprise the most demanding rider! The lightness and stiffness of this frame is achieved by a carefully in-mold manufacturing process. 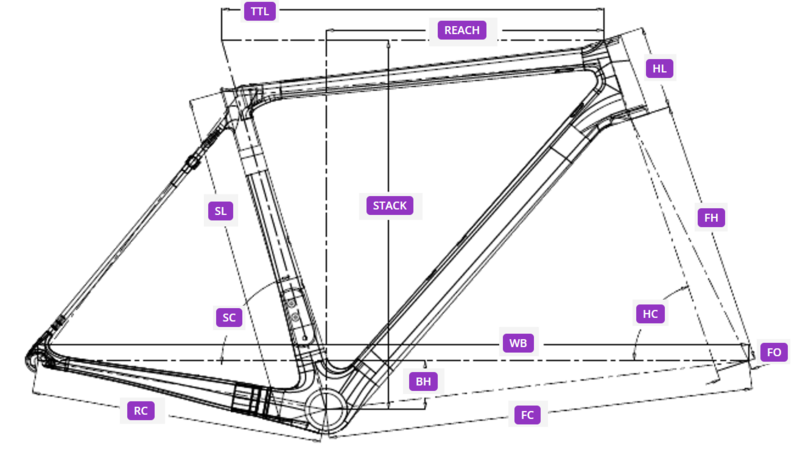 The intermediate and standard modulus carbon fibres are carefully placed to balance the extreme tensile strength of the unidirectional high-modulus fibres in charge of providing the racing character of this frame. 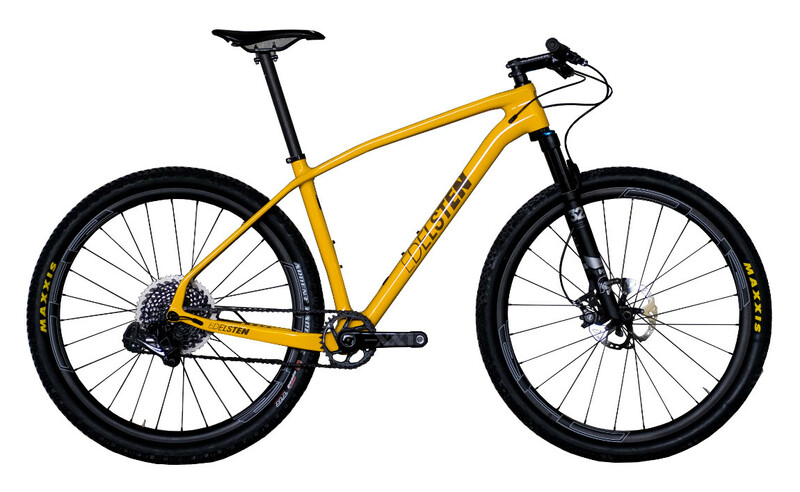 Wondering which color would fit best our new HT1 model we suddenly knew that a bright yellow color will be the color to go for. Still keeping on our “credo” of creating smooth designs the appearance of SuperB tells you what it is actually made for: racing with style! Riding the Austrian Alps we were overwhelmed by the sharp silhouette of the mountains. That shape is an icon recognized all around the world, so it is our corporate colour. The Lila details of this Edition is a distinct sign of what are you riding, what you stand for. Race in style. You can choose from our selected custom packs and add your desired Shimano, Sram or Campagnolo groupset. A perfect balanced solution of costs and performance. Racing needs less weight: 9.5 kg at 17" will speed you up. The ultra solution: 9 kg come with ultra quality - a solution at its best. Fill in this form to request a quote. On business days we will respond within 24 hours. Yes, I'd like to have a custom color and I wish a consultation.